The SEC has more teams in the NCAA Tournament than it ever has before, and big things are expected this postseason after placing three teams in the Elite Eight and South Carolina in the Final Four a year ago. Let’s look at a few of the burning questions facing the league on the eve of the Big Dance. Which SEC team has the best chance to go the deepest? This is a tough one, as there are no obvious candidates to make it to the Final Four despite the SEC placing eight teams into the field. In fact, none of the group has an easy path, assuming seeding holds, beyond the Sweet Sixteen. Kentucky is playing well but a very tough draw will likely require the Wildcats to beat Arizona to get out of Boise. Tennessee and Auburn have reasonable paths to advance from the first weekend but would need to likely beat Cincinnati and Kansas, respectively, to advance beyond that point. And even though Florida has been wildly inconsistent all season long, the Gators have enough shot-makers and experience to reach the Elite Eight for the second straight year (and six of the last eight). Which SEC player will break out and make a national name for himself? Tennessee’s Admiral Schofield has been on fire recently as the most consistent offensive performer on his team, using his versatile and unique offensive game to lead the Volunteers in three-pointers made while shooting a healthy 39.5 percent from behind the arc. Because of his ability to both draw defenders away from the basket while getting good looks inside, he is an extremely difficult match-up for nearly any opponent in the field. If the Volunteers can make it out of Dallas this weekend, the rest of the country will get to see what the SEC has known for the last two months — that Schofield is worthy of his selection to various all-SEC teams. Which coach is under the most pressure to have success? 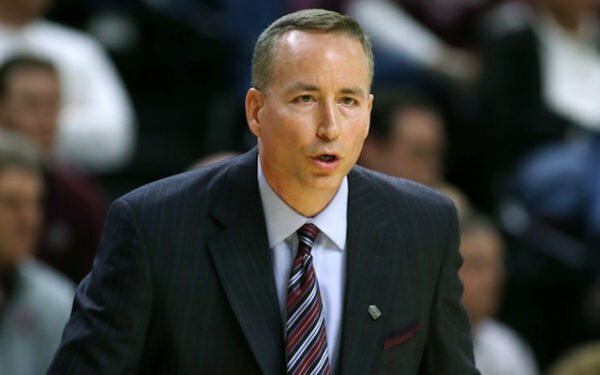 Some might argue that John Calipari needs a deep run nearly every year to justify the revolving door of McDonald’s All-Americans coming through Lexington, but our choice here is Texas A&M’s Billy Kennedy. The seventh-year head coach is coming off a disappointing regular season in which what appeared to be the SEC’s best team sputter to a 9-9 conference record. As a result, the Aggies are now a #7 seed in the Charlotte pod and will likely have to beat North Carolina in its own backyard to advance to its second Sweet Sixteen in the last three years. Getting to the NCAA Tournament certainly means that Kennedy’s job is safe, but a surprise run over the next two weeks would go a long way toward giving him some long-term security. Which first-round game involving an SEC team is the most intriguing? Because of the return of Michael Porter, Jr., the Missouri vs. Florida State game in Nashville has a chance to be very good on Friday. In Porter’s first game back since a November injury, he went 5-of-17 from the field as the Tigers lost to Georgia in the SEC Tournament. But head coach Cuonzo Martin has to be thankful that his team got a dress rehearsal game with the preseason All-American, and he will take his chances that his club is much more dangerous with Porter in the lineup. This is especially the case given that Jordan Barnett has been suspended for the First Round game because of an untimely DWI arrest last weekend. This battle of two very efficient offensive teams has a chance to be one of the best games of the entire First Round. This entry was posted on Wednesday, March 14th, 2018 at 10:01 am by David Changas	and is filed under 2018 ncaa tournament, feature, microsites, sec. Tagged: 2018 ncaa tournament, admiral schofield, auburn tigers, billy kennedy, florida gators, Jr., kentucky wildcats, michael porter, missouri tigers, sec, tennessee volunteers, texas a&m aggies. You can follow any responses to this entry through the RSS 2.0 feed. You can leave a response, or trackback from your own site.